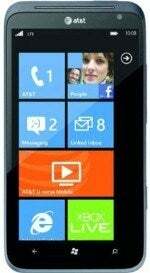 What do Kourtney Kardashian, Vernon Davis, and Stephanie Izard have in common: They're all shilling for Microsoft as part of an usual marketing stunt running today only, Monday, April 9, to frame recently launched Windows Phones like the Nokia Lumia 900 as simpler and faster than the competition. Imagine an ATM that gave away "free time" instead of money. That's essentially what Microsoft's put together in the form of Free Time Machines, or FTMs, which the company says "work like ATMs," but offer to take on various mundane lifestyle chores instead of spitting out cash. Want your house cleaned? Your dog walked? Your groceries delivered free? Just a sampling of the services these FTMs claim to offer. No, it's not a belated April Fool's joke. In explaining the "why" behind the idea, Microsoft cites a Wakefield Research survey, which found that 91 percent of smartphone owners said their phone was a time-saver (I know, there's a jaw-dropper). No doubt the company wants people to view the newest Windows Phones as one-upping even that. 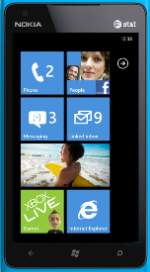 The $100 (with a two-year contract) Nokia Lumia 900 launched yesterday alongside the $200 (also with a two-year contract) HTC Titan II (that's right, on Easter Sunday, oddly enough). Both phones are available on AT&T's 4G LTE network. "The value of speed in a smartphone comes down to this: How can we save you time on the stuff that matters?" asks Microsoft Windows Phone VP Terry Myerson. "The introduction of Free-Time Machines is a way to show people how Windows Phones can put a little time back in their day." It's not clear exactly what these FTMs look like or how, precisely, they work, but Microsoft dangles a celebrity contest angle: Hit up an FTM in Chicago's Pioneer Court or John Hancock Plaza and you could wind up having Top Chef winner Stephanie Izard cooking for you. Give an FTM in New York's Bryant or Madison Square parks a go and you might win access to Kourtney Kardashian's hair stylist, makeup artist, car service, and a personal shopper from her clothing boutique. And drop by a San Francisco Union Square ATM and you could land 49ers tight end Vernon Davis as your personal manservant for a day. Microsoft says its FTMs will also be staffed by "Free-Time Engineers," which it describes as "on-call, on-site, time-saving concierges" whose job it will be to "take on winners' time-intensive tasks." Those tasks might include standing in line for a burger and a shake (New York), having lunch delivered to the office (Chicago) or holding a spot in line for you to grab a cable car (San Francisco). Don't live in those cities or can't make it out today? Microsoft's touting an FTM online sweepstakes page, which includes a Hawaiian vacation for four -- it'll run through May 31, 2012. Matt Peckham writes for TIME and PCWorld. You can find him on Twitter, Facebook, or Google+, and follow Today@PCWorld on Twitter for the latest tech news and analysis.